Each member of staff will be presented with a bottle as a thank you from the Senior Management Team. 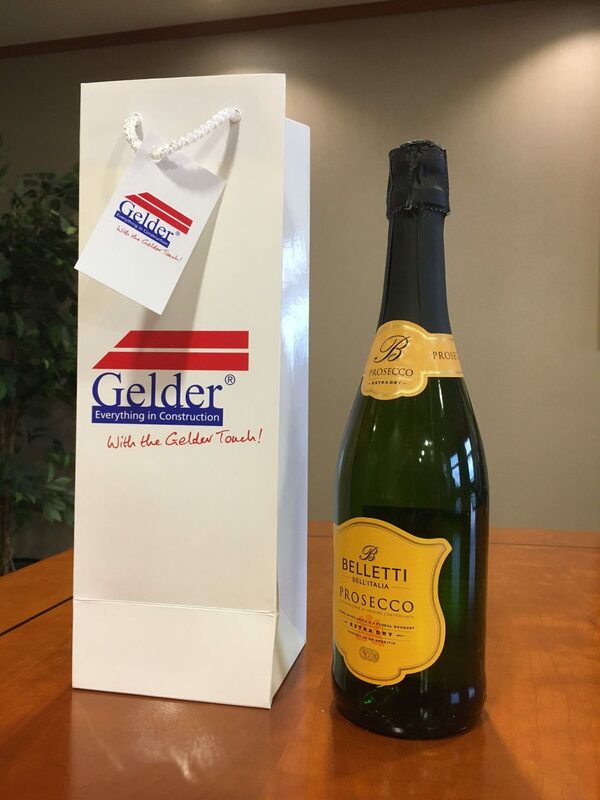 Every member of the team at Gelder Group has, or will soon receive a bottle of appreciation from the Senior Management Team as a ‘thank you’ for both their individual contribution to Vision 2017 and for earning the Group the title of Lincolnshire’s fastest expending company. Work on the Group’s next Vision is now underway and this will be launched early in the New Year and will coincide with the companies 30 years in business celebrations.